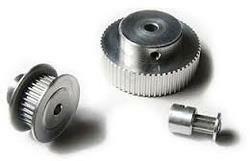 For years we have been dedicated to the trade of premium quality Timing Belts And Timing Pulleys. Precision engineered, stable, smooth operation and reliability are some of the popular features of our premium products. Fabricated from high grade materials at the vendor’s end these products are of epitome quality and finish.